The user marmot has posted a really nice approach of adding legend items into one single box below a multigraph diagram by placing them inside a \node. Based on this initial situation I have tried to separate the legend items into three rows above each other, but the result is missleading. the legend items are not precisely aligned below each other. So my questions are: How to solve this and make it look nice? You could just add a large enough text width to all of these legends. True, this is not entirely automatic (TikZ does understand something like width("blablabla") but writing a fully automatic solution may be an overkill here), but seems to be reasonably simple to me. EDIT: Increased the text width, big thanks to quark67! Not the answer you're looking for? 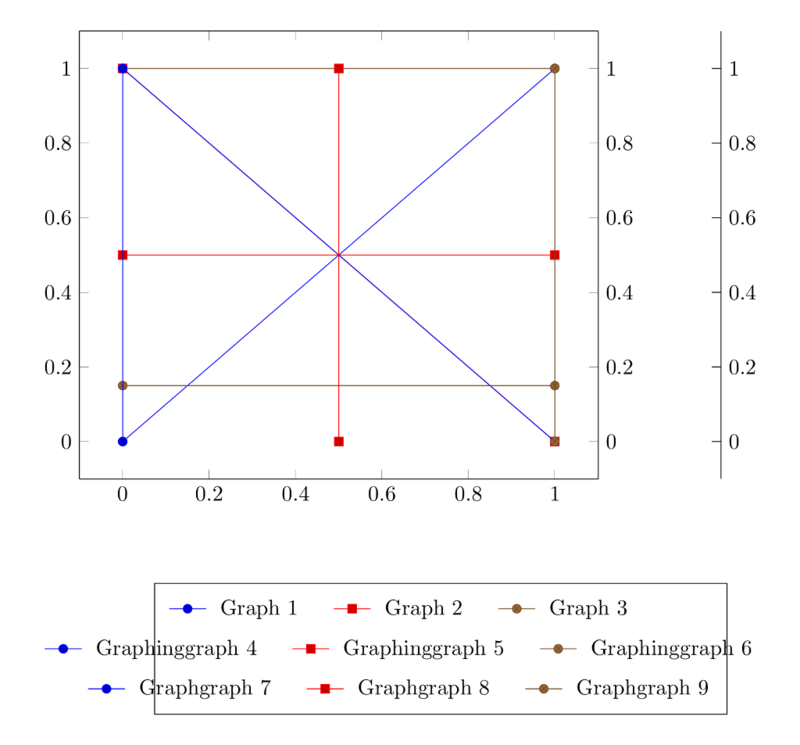 Browse other questions tagged tikz-pgf pgfplots positioning legend tikz-graphdrawing or ask your own question. How to align bars with the legend? 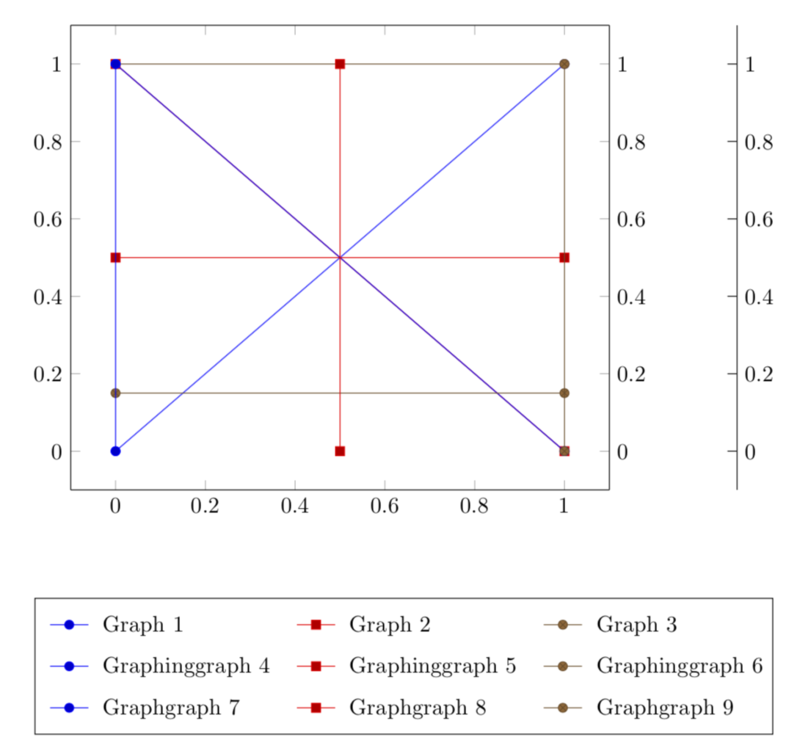 How to align the legend in pgfplots?